From the Home Screen, click Project Manager. You will also see an icon to add a folder. 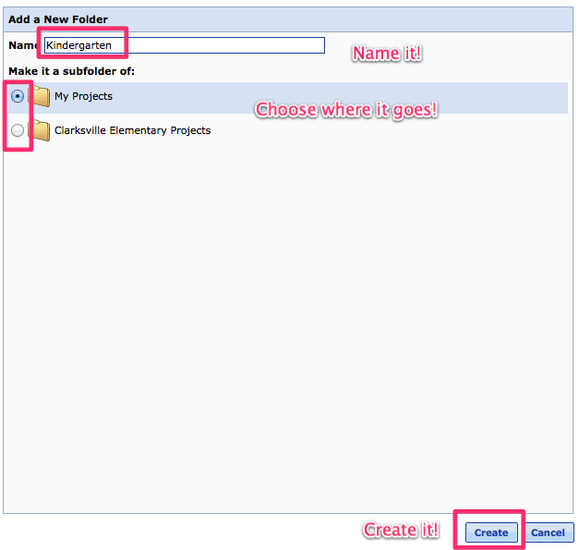 Using the Add Folder icon, add some folders to your My Projects or School Level Folder. You will notice as you create new sub-folders that the expand arrow to the left becomes dark so that you can click to expand and see the new folders you have added. 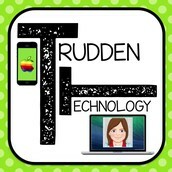 Ideas for Organization: Create Sub Folders for Content Areas, Grade Levels, Type of Projects, or Classes. 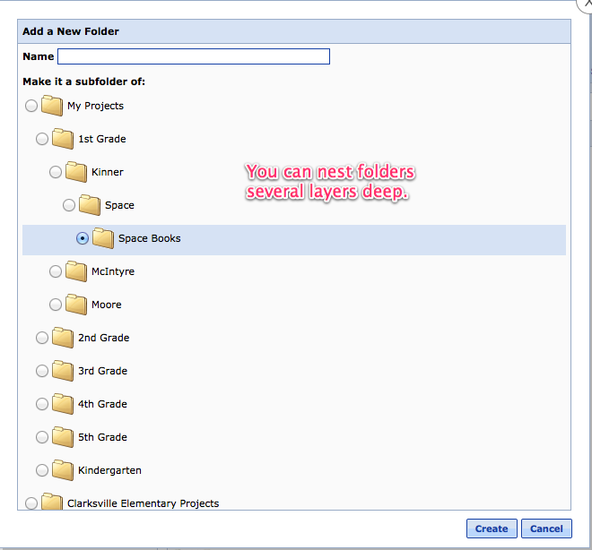 Keep in mind that you can create sub-folders several layers deep. Once you have created your folders in the organization that works best for you, then start to move existing projects into the coordinating folder. 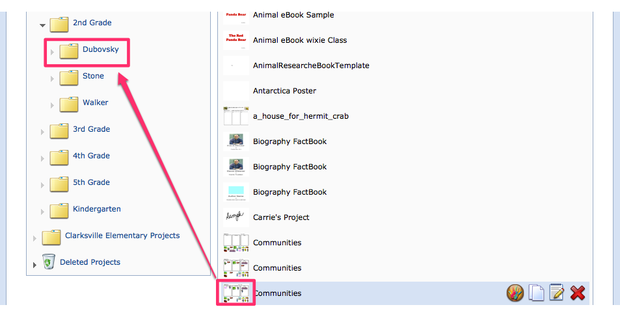 Simply, drag the preview icon for the file on the right and drop it on the folder you want to place it in on the left. 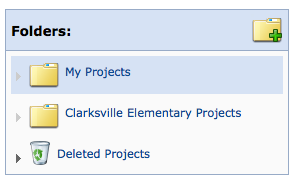 Check your folders to make sure that your projects have been moved. Click the name of the folder and you will see its contents on the right. 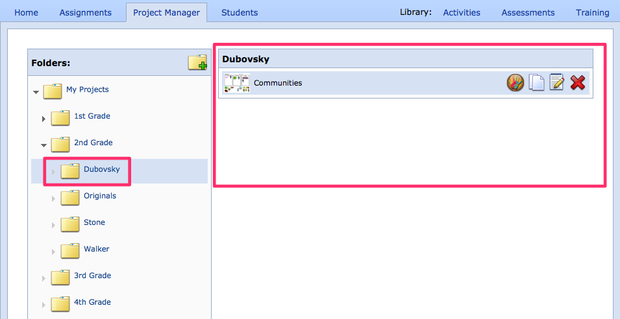 You can fully edit, duplicate, edit project details, and delete a project from within the Project Manager tab. 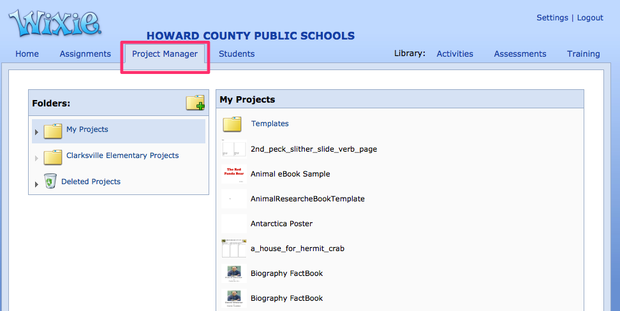 However if you are modeling for students and want to access a project, your screen may look slightly different. 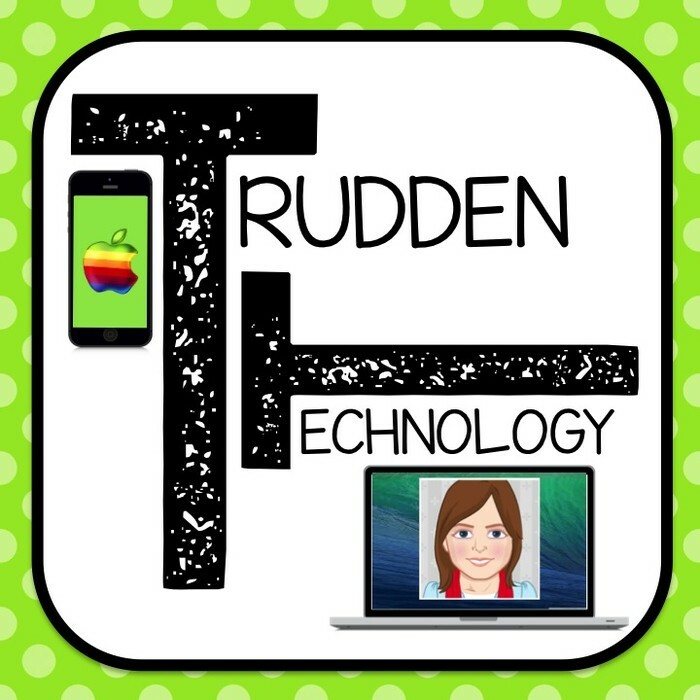 To mimic a students screen, once you login, go to the the Projects Screen (Click Home and then click Create or Edit a Wixie Project) you will see all folders and projects that you have created in Wixie under the My Projects Tab. Projects will always be above folders so you may have to scroll down. Double Click the folder you wish to open and repeat until you find the project you want to work with for class today. As you work more and more with Wixie you will find that you have multiple copies of projects. This can accumulate quickly! So take some time and strategically start with organization in mind.